"Vanguard" is defined as the position of greatest importance. To achieve this position requires dedication, determination and strong leadership skills. "Vanguard", is an ideal recognition gift or achievement award. 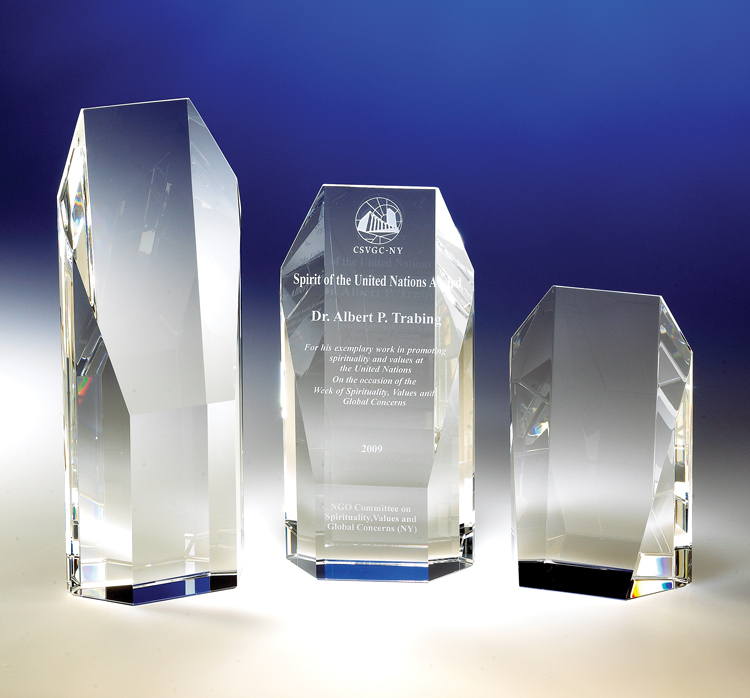 Each stunning crystal sculpture is handcrafted from the world's finest optical crystal and features a large surface area for etching. Perfect for achievement, retirement, anniversary, business, leader, leadership, religious, government, military, patriotic, political, sports, athletics or education.